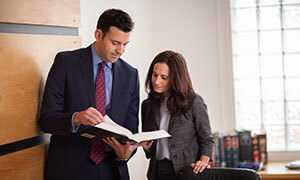 Learn how our lawyers can help if your loved one was harmed because a nursing home failed to provide proper medications. Chemical Restraints—Unfortunately, psychotropic drugs (antidepressants, tranquilizers, antipsychotics, and anti-anxiety drugs) are often over-used by care facility staff members who are overworked or poorly trained. The law requires that the use of chemical restraint medications be medically necessary and they must be ordered by a physician. They may not be used for the convenience of staff. If these drugs are administered in ways inconsistent with a resident’s care plan, the nursing home or other facility may be liable for damages. Such carelessness or abuse is never acceptable. The side effects associated with medication errors are myriad, and may result in serious permanent injury or death. They are virtually always preventable. Particular side effects from the long-term use of chemical restraints include heart attack, stroke, diabetes, central nervous system disorders, thyroid dysfunction, deliria, and damage to the liver, kidneys, pancreas and other organs. This should never occur. The improper use of chemical restraints is intentional and unlawful. This abuse must be stopped immediately upon discovery, and those responsible for it should be punished and made to pay for the harm they caused.